Hi everyone, Valentine's Day is tomorrow. Are you ready? When I was younger one of my favorite things to do was to play dress up. Now that I've grown-up, "playing dress up" is just as fun and Valentine's is the perfect occasion to "play." You get a chance to treat yourself and the special person in your life by simply looking your best! Whether you're going out with that special person or getting together with the girls, this look is perfect for a night out on the town. Step 1: As always start with a clean face...wash and moisturize. Prime your face as a base in preparation for your makeup. 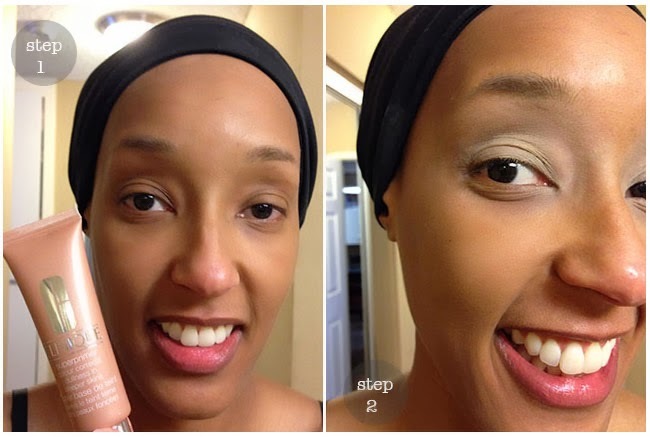 Here I'm using Clinique's Superprimer and Color Corrector for Deeper Skin tones. Clinique is my go to skin care source because their products are non-comedogenic and non-acnegenic which for makeup junkies like me simply means it won't make your skin worse! 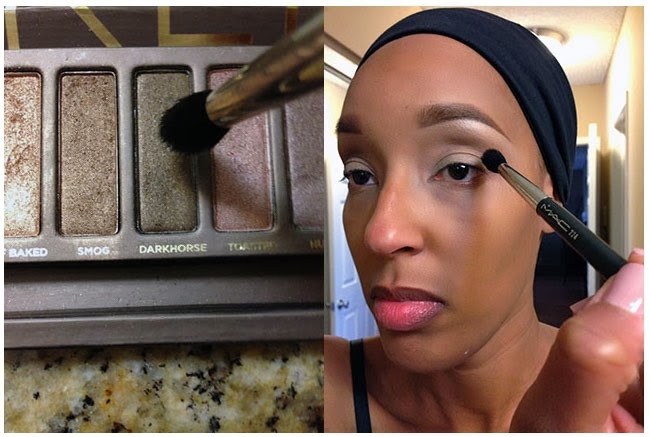 Step 2: Prime your eyelids up to the eyebrow to make sure your eyeshadows are both vibrant and long lasting. I am using Soft Ochre prolong wear paintpot by MAC Cosmetics. YouTube is a great source for eyebrow tutorials if you need one. Just type in "eyebrow tutorial" and you will open a window to hours of videos! Step 4: Start by dipping your MAC 239 brush (or equivalent) in the color Virgin and applying to your brow bone as a highlight. Step 5: Using a MAC 224 brush (or equivalent) dip into the color Buck and blend into your corner crease using a windshield wiper motion. 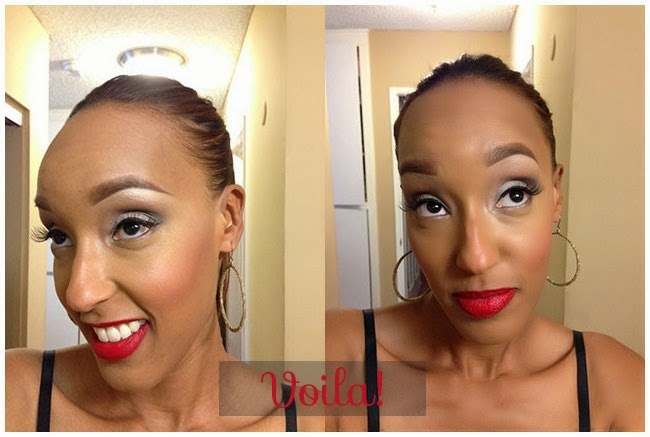 Then with the same brush dip into the color Darkhorse and blend into your corner crease in a v-shape. Step 6: Use your MAC 239, dip it back into Virgin and place on your lid. Look in the mirror and if the colors aren't vibrant enough just use the same brushes and add more. Clean up any fall out with a wipe. 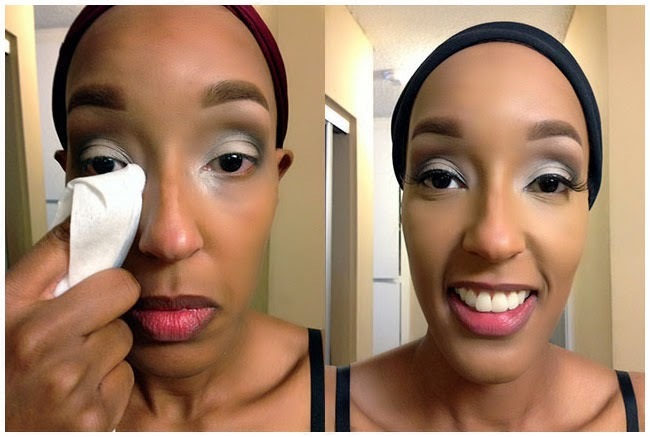 I love using MAC's makeup remover wipes or Neutrogena wipes to clean up the fall out from under my eyes. Step 8: Put on your foundation and blend with a beauty blender sponge. I'm using Kevyn Aucoin's Sensual Skin Enhancer SX12 & Laura Mercier's Oil Free Tinted Moisturizer. 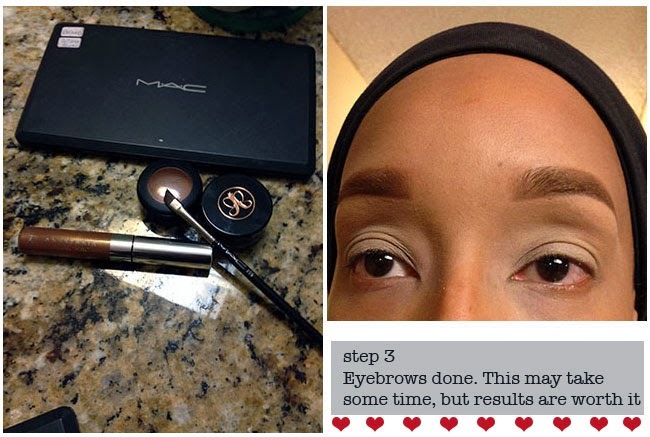 Step 10: Add blush to the apple of your cheeks. Set the look with Makeup Forever HD pressed powder. The for added, I spray on NYX's Matte Finish setting spray. Step 11: Add a vibrant red lip. Here I'm using MAC's chromographic liner in Basic Red and MAC's popular matte red, Russian Red. Done! Go ahead, admire your handy work in the mirror and then go have some fun! Hope your Valentine's is as fabulous as you look. Tiffany Nelson is an LA Based makeup artist specializing in special occasion makeup and makeup for the "everyday woman on the go." You can follow her on Instagram @TNEL_MUA.